Limited Edition “Adafruit” Pibow – Enclosure for Raspberry Pi Computers « Adafruit Industries – Makers, hackers, artists, designers and engineers! 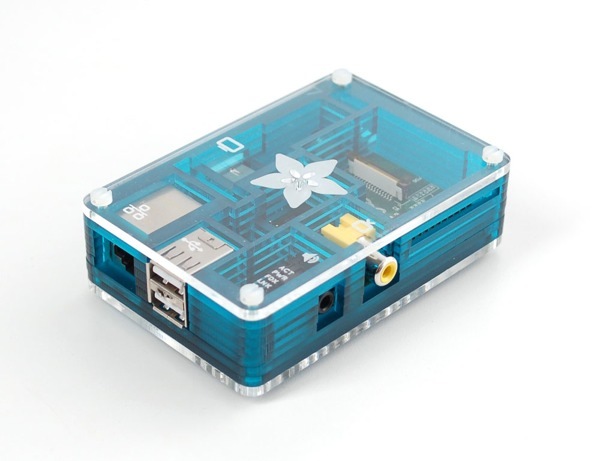 Limited Edition “Adafruit” Pibow – Enclosure for Raspberry Pi Computers. 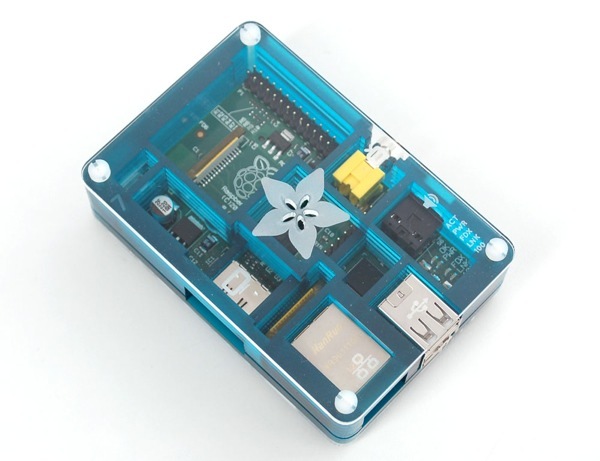 The Pibow is a colorful, durable and fun case for the Raspberry Pi® computer that is perfectly in touch with the ethos of the Raspberry Pi. The ‘regular’ Pibow is made of a rainbow of plastic. 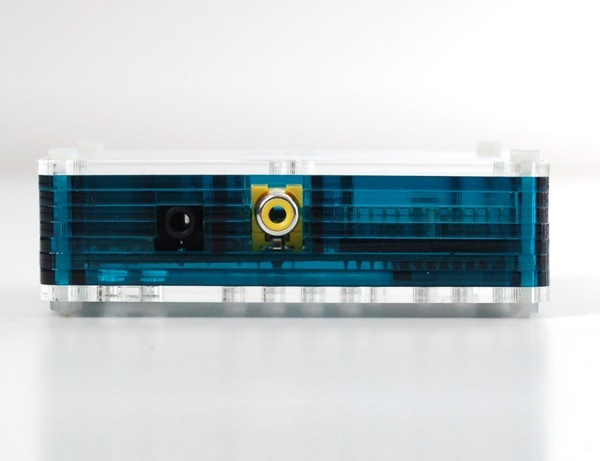 For those of us who are more cyberpunk, the kind folks who make the Pibow have crafted an Adafruit version of translucent blue acrylic. It looks really really cool. The Raspberry Pi® is a single-board computer developed in the UK by the Raspberry Pi Foundation with the intention of stimulating the teaching of basic computer science in schools. The design is based on a Broadcom BCM2835 system on a chip (SoC), which includes an ARM1176JZF-S 700 MHz processor, VideoCore IV GPU, and 256 megabytes of RAM. The design does not include a built-in hard disk or solid-state drive, instead relying on an SD card for booting and long-term storage. The Foundation plans to support Fedora Linux as the initial system software package/distribution, with support for Debian and Arch Linux as well – Wikipedia. Well, that appears to have sold out quickly. Looking forward to another run of it. Looks great, too bad it sold out so fast. Is there an ETA on another run?